Former private investigator and New York Times notable author David Corbett offers a unique and indispensable toolkit for creating characters that come vividly to life on the page and linger in memory. Corbett provides an inventive, inspiring, and vastly entertaining blueprint to all the elements of characterization-from initial inspiration to realization-with special insights into the power of secrets and contradictions, the embodiment of roles, managing the "tyranny of motive," and mastering crucial techniques required for memorable dialogue and unforgettable scenes. This is a how-to guide for both aspiring and accomplished writers that renders all other books of its kind obsolete. David Corbett worked as a private investigator for fifteen years before becoming the widely acclaimed author of four novels, with short fiction twice chosen for Best American Mystery Stories. He has taught at the UCLA Extension Writers' Program, 826 Valencia, Chuck Palahniuk's LitReactor, and the San Francisco Writers' Grotto. 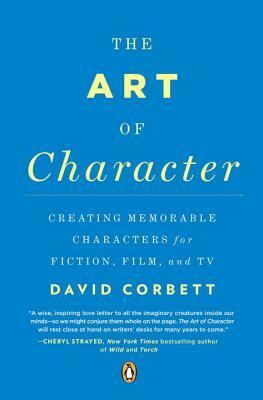 “Corbett’s The Art of Character is no "how to" book or "writing by numbers" manual. It is an artful testament to the writers’ credo – that a story is only as affecting and meaningful as the characters who tell it – that writing, essentially, is character. The Art of Character is a writer’s bible that will lead to your character’s soul. Corbett writes with the grace and authority of a seasoned professional, but offers much more than the usual inventory of method and strategy. With clarity and compassion, he gets to the very thing that lies deep within us, that longing we share to discover that one distinct and authentic voice. The Art of Character is itself a work of art, an indispensable resource for writers of any genre, and a pedagogical tool for teachers of writing at any level.”—Elizabeth Brundage, author of A Stranger Like You and The Doctor’s Wife.